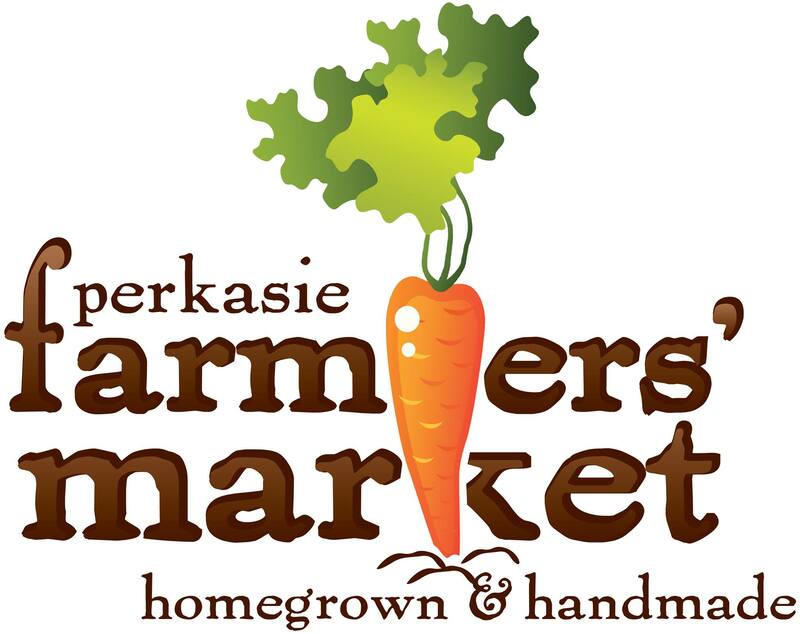 Perkasie Borough worked with over 100 local artists, crafters and volunteers to celebrate spring in a very unique way in 2018: we transformed Menlo Park with a “Yarn Bloom” in May. 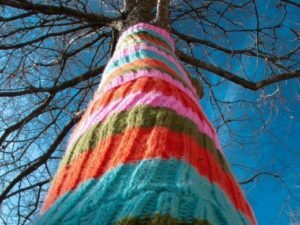 The Perkasie Yarn Bloom was part of an international “yarn bombing” movement, where artists use yarn crafts like knitting, crochet, weaving, embroidery, pompom making, braiding etc – to temporarily decorate and embellish trees, signposts, benches and other street furniture. The focus of the Yarn Bloom was a large, temporary art installation by local artist and lifelong Perkasie resident, Tim Gibson. This artwork was reminiscent of the design for Perkasie’s new mural that was painted behind Borough Hall in June 2018 and was an opportunity for residents to preview the mural project. The Yarn Bloom was open for visitors for about a month. Artwork was repurposed and donated to animal shelters for bedding and toys. Leftover yarn was donated to Project Linus (creating security one blanket at a time) and to a Perkasie church for use in making prayer shawls. Many people visited the Bloom during the Borough’s Earth Day celebration which took place from 1pm-4pm on April 21st. www.perkasieborough.org/our-events/earth-day for more information. Thank you to the following organizations and groups who helped to decorate the park. And to individuals across the area – too numerous to list – who helped design, create and install this beautiful and quirky exhibition. Bloom Flower Co., Perkasie; Brady Landscaping, Perkasie; Bucks County 4-H Alpaca Club, Callowhill Alpaca Farm, Hilltown, Chimayo Gallery & Gift Shop, Perkasie, Cosgrove Music Studios, Perkasie; Curves of Dublin, Girl Scout Troop #2772, Hidden Meadows, The “Hilltown Haberdashers”, Hilltown; Perkasie Garden Club; Pennridge High School Honor Society and Key Club; Perkasie Library; Perkasie Park & Rec Board; Perkasie Towne Improvement Association; The Red Tent Circle at the AHA Studio for Integrative Therapies, Rita’s Italian Ice, Perkasie, ServPro,Upper Bucks, The “Shady Ladies”, Shadywood Village, Perkasie, Ten Thousand Flower Project; Upper Bucks Fiber Fanatics. 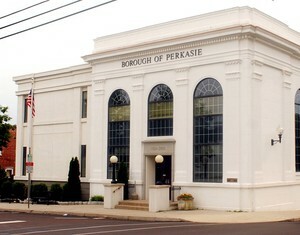 Visit facebook.com/ PERKASIE YARN BLOOM for beautiful photos of this event.